Long-serving former Barnsley defender Bobby Hassell has returned to club as head of academy recruitment. 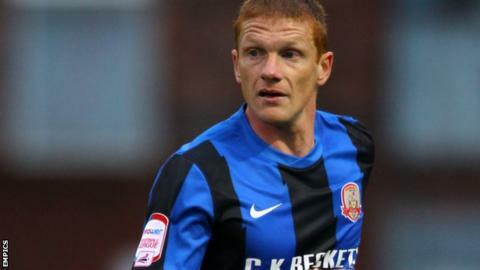 The 35-year-old spent 10 years and played 270 league games for the Tykes before being released in May 2014. Hassell, who began his career at Mansfield Town, retired from playing in the summer following a spell with Bharat in India's I League. "It feels fantastic to return to Oakwell; a place which I hold dear in my heart," he told the club website. Was Klopp right to salute the Kop? Read more on Jurgen Klopp: Was Liverpool boss right to salute Kop?